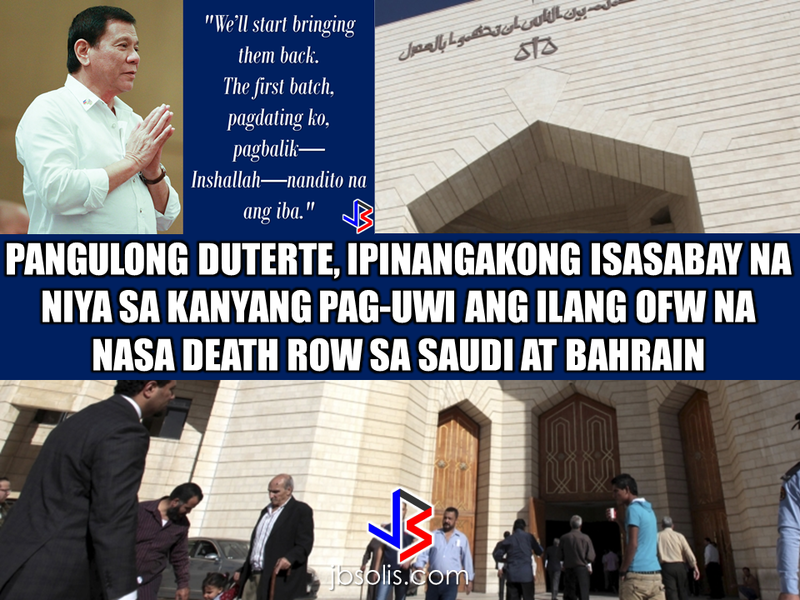 President Rodrigo Roa Duterte left for the Middle East on Monday for a state visit in three Gulf Countries which includes Saudi Arabia, Bahrain and Qatar, with a promise that he will bring some of the OFWs who had been on death row in the said countries, except Qatar, where there are no recorded OFWs on death row. 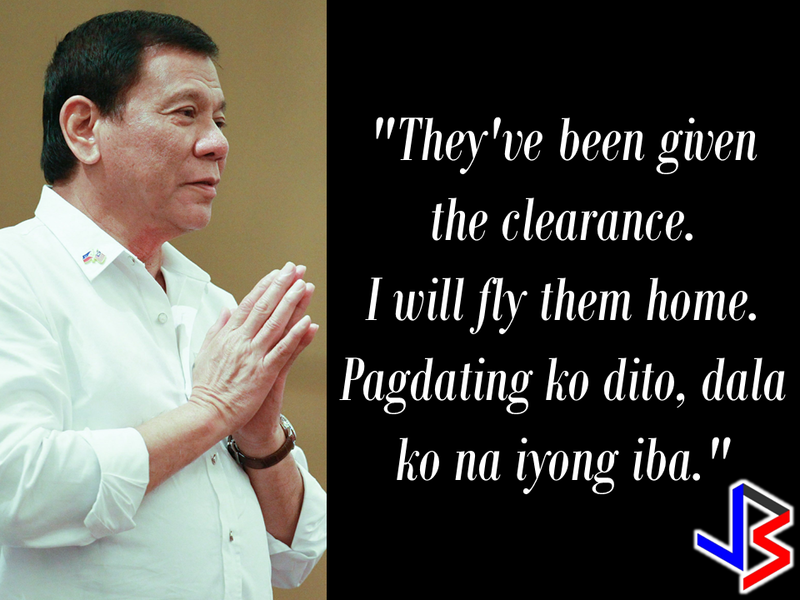 "They've been given the clearance. I will fly them home. When I return, I'll be bringing some of them home, " he said during a pre-departure press briefing in Davao City. Foreign Affairs Assistant Secretary Hjayceelyn Quintana, is only 31 in Saudi Arabia and one in Bahrain. The President will be visiting Saudi Arabia on April 10 -12, Qatar on April 14-16 and Bahrain on April 12-14. The different OFW communities in the said countries are excitedly preparing for the President's visit to their host country. Preparations are underway and the Filcom leaders are organizing the venue and the crowd prior to the much awaited visit of President Duterte. 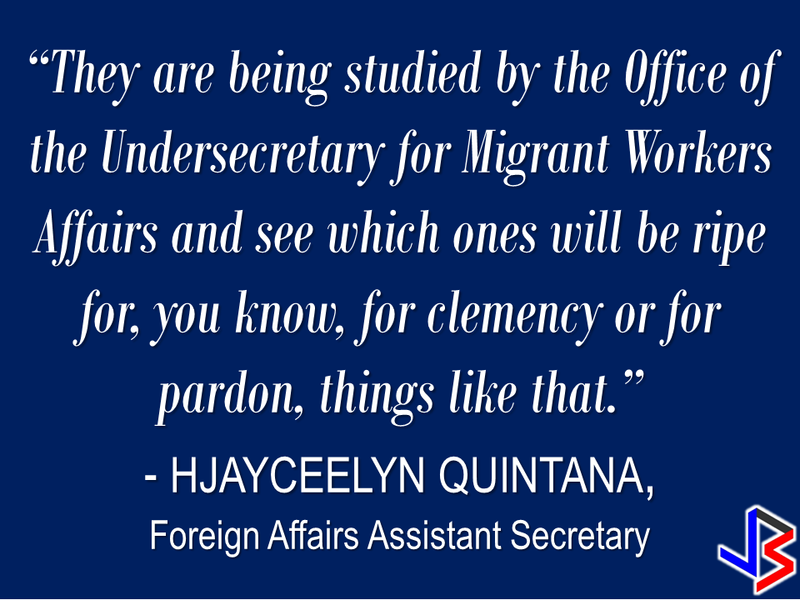 During last week's briefing DFA Assistant Secretary Quintana, said that cases of the OFWs in risk of execution are relatively complex and different in levels and that the Office of the Undersecretary for Migrant Workers Affairs are studying each case to determine which one's are ready for clemency or pardon. 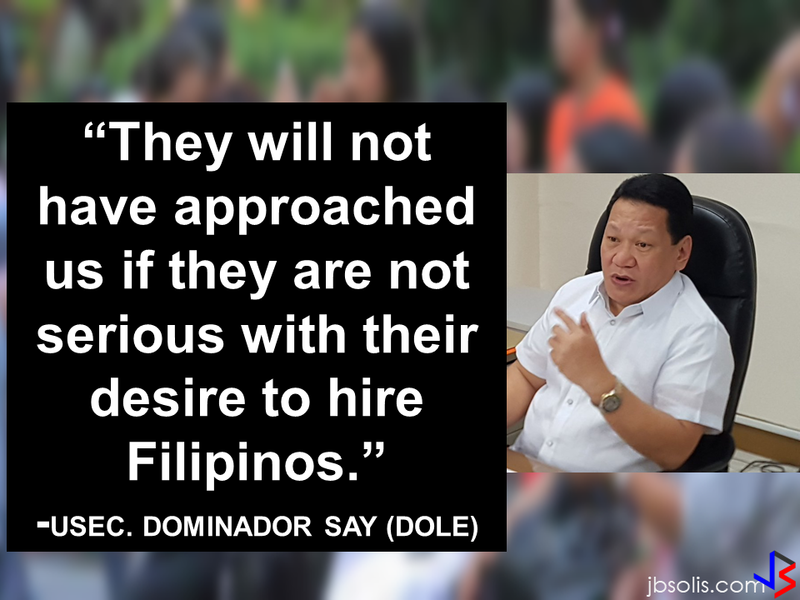 The Office of the President have been informed about the cases of the OFWs on death row, according to Quintana. However the DFA official explained that it would depend on what the victims and the family to decide depending on what is being stated in the Sharia Law. The Middle east is largely a follower of the Islamic faith where Sharia Law is strictly followed. UPDATE: President Duterte arrived in Saudi Arabia.